QikPark- is a parking guidance system that directs drivers to the nearest available parking space by visually providing real time occupancy information throughout the parking structure using intelligent hardware and software. 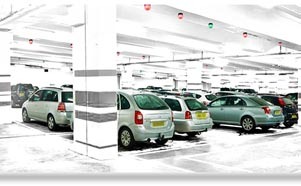 Occupancy Sensors located at each parking space sends signal of car park space occupancy. Drivers are guided by Directional Displays to available parking space. Occupancy Sensor Indicators at individual car park space enables the driver to see from a distance if the space is available. No more searching for parking space. A System that guides you to a free parking space “quickly”. Ultrasound Sensor : Detects the presence of vehicle in the car park space. Not only guide the users to the available parking space, this system also helps them to locate the parking space they parked their car. Detects the presence of a vehicle through robust image processing. 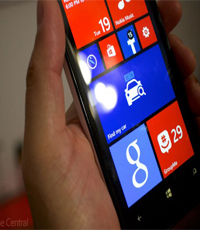 QikPark Locate app will help the users to locate their car in the parking area by feeding in the license plate no in the kiosk or in their smart phones. Provides license plate information of all the vehicles. 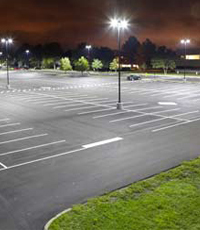 QikPark Lighting is a lighting system which enables energy saving and sustainability in the car park. Can be configured to automatically switch on and switch off the lights based on the parking status.